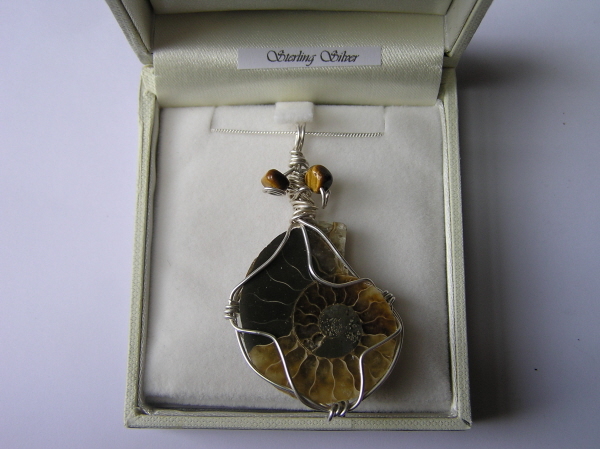 This is a truly exquisite ammonite pendant hand crafted from a Cretaceous Madagascan Ammonite slice strung from an 18 inch solid sterling silver curb chain. 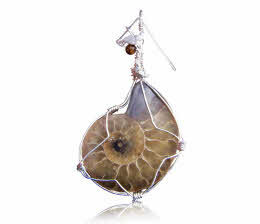 The Ammonite slice won't be the one pictured - but one similar. 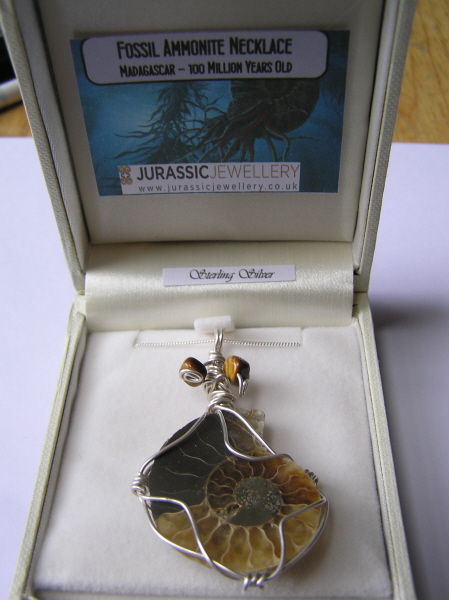 Beautifully presented in a labelled jewellery box and even nicely wrapped in tissue paper!